Christian Housing Resurrection Parish / Ralph Falbo, Inc. 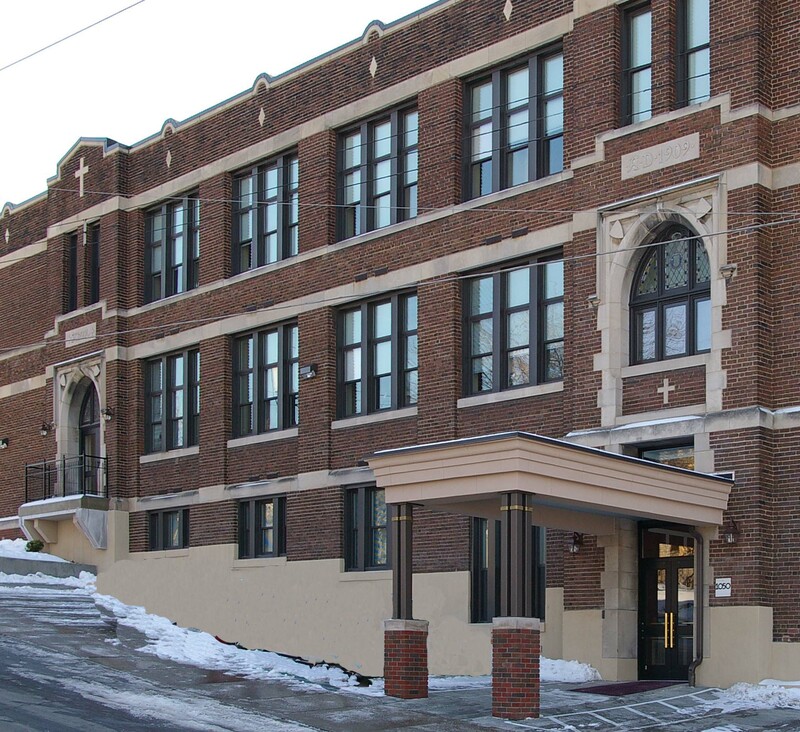 This 24 unit project was renovated in Pittsburgh's Brookline neighborhood and was designed to preserve the historic fabric of the existing building. Sota was selected early on in the project and offered value engineering in order to minimize first cost while provide a greener building including high levels of thermal insulation. Existing wood trim was removed and reused. Low VOC paints and adhesives were used throughout the project, and an energy-efficient water source heat pump system was installed with air-to-air heat exchangers to provide fresh air while minimizing energy cost. Amenities include balconies, well-appointed entry lobby, library, lounge, exercise area, wellness center, central kitchen where optional meals are prepared, and a multipurpose room for dining and assemblies. The development was financed with HUD 202 funds and City of Pittsburgh block grant funds. Sota was integral to the Design Phase in evaluating cost-effective and sustainable construction methods.